Learning about good health, staying active, and eating well can begin at an early age with the youth fitness programs at American Family Fitness. We believe in kids at American Family Fitness! The youth programs at our gym in Fredericksburg are designed to keep youth active and engaged in exercise and good nutrition. Kids will have fun, too, as they connect with others their age to play games and sports, take swim lessons, enjoy group fitness classes, or participate in programs like Kids 360. For kids 9-13 years old, our Fredericksburg health club offers programs that introduce fitness and make it fun. 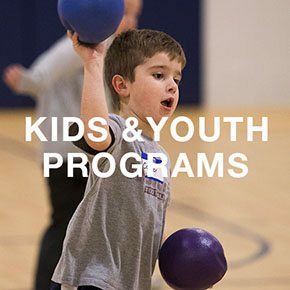 Activities and games, like dodgeball, kickball, and the Kids 360 workout, keep kids engaged in exercise and learning the value of teamwork. 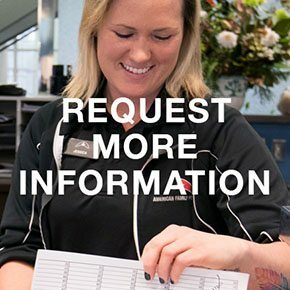 We also offer group fitness classes like yoga, and swim lessons and a swim club are also available for youth up to age 18. There are summer camps and more. Build your child's strength and confidence at American Family Fitness. 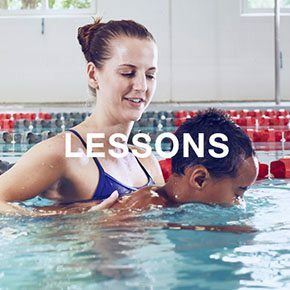 Help your child stay safe in the water with swim lessons at our Fredericksburg gym. Held in our indoor pool, swimming lessons also build strength and endurance, even at young ages. Lessons are offered in private, semi-private and group formats. Stop by the Welcome Desk at our fitness center in Fredericksburg to learn more about our many youth activities, including swimming lessons and the swim club.